When I was a toddler I actually had a blue bunny, a bear and a duck. 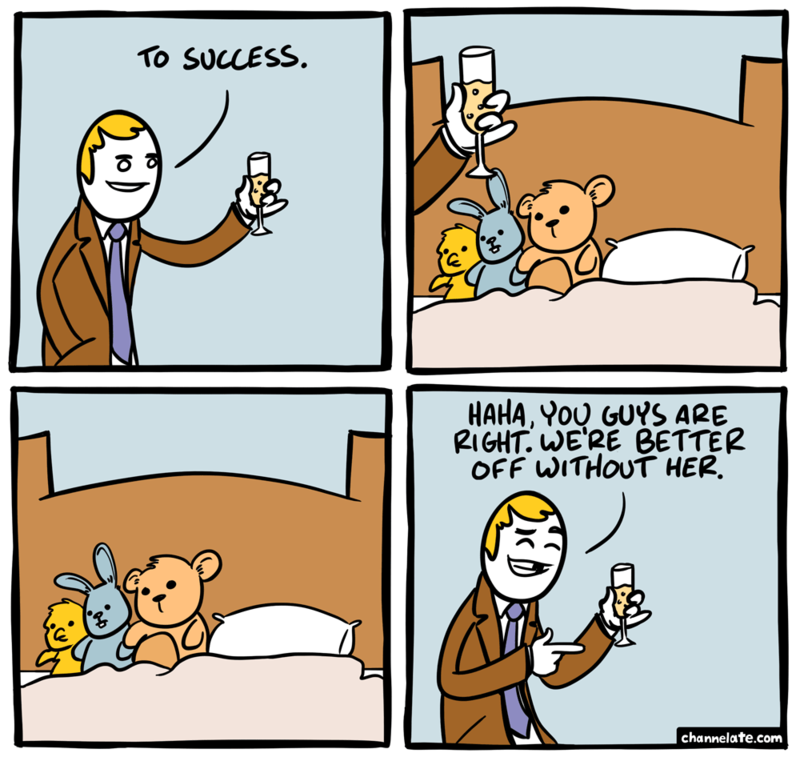 Hadn’t thought about that in years until I was deciding what kinds of stuffed animals would go on the bed in this strip. Also, not sure if I’ve mentioned this before, but comedian Eddie Pepitone has a youtube channel where he does “a live action single panel comic” called Puddin’. I think its a clever idea. Check it here. naOWxt Well I definitely enjoyed reading it. This information offered by you is very effective for good planning. I agree I think she’s doing this for emotional support, and afterward, she’ll have to consider what she should do about June if anything.